Anthar Kharana is returning to the Clophill Centre after a wonderful cycle of gatherings held in the land last year. The participants bonded and deepened in ancient teachings and practices that helped to purify and co-create the life we all deserve to live. 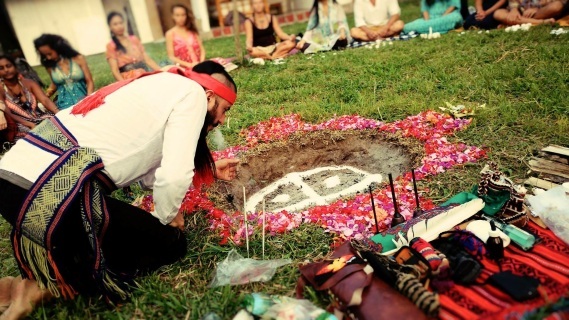 This year Anthar will be holding 2 retreats at the Centre were we will be exploring the mysteries of the Wheel of Life through traditional Tabaco and Fire ceremonies as well as exploring the power of our voices, stories, movement, ceremony, ancient dances and practices that have helped many generations to develop the powerful art of conscious creation. A journey through ancient teachings and wisdoms from the medicine wheel and the learning opportunity each direction holds. Anthar will take us on a journey through each of the doorways of the medicine wheel where we will experience insight and inspiration as We journey as a tribe and co-create a small community of support and nurturing to hold us as we move together during the year. Participants can arrive from 5pm on Friday to set up their tents and be ready for a lovely dinner and introduction to the weekend. We will then begin the journey with our first Fire Ceremony after dinner. The Retreat Finishes on Sunday after our closing ceremony, hugs with everyone and our last Lunch together! *There will be discount for those who would like to attend Both Retreats, please enquire with Kim. *Bring some fruit to share at the end of the ceremony if you can. Anthar Kharana is native from the land of the Hacaritama people up in the Andes in the north of Colombia, a land where ancient warriors used to live. He is a guardian of the sacred fire and traditional medicines of the Americas, guided and supported by wise Elders from his homeland from an early age. He is also a music composer and sound healing practitioner. 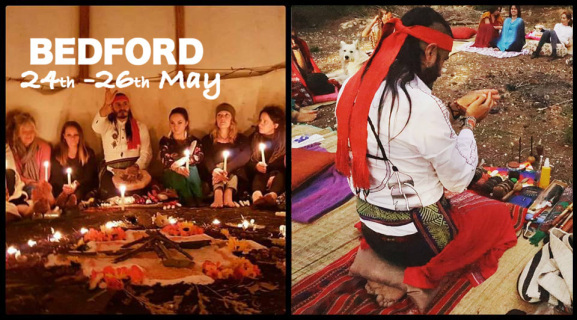 Over the last 16 Years Anthar has been traveling and sharing the wisdom of the Sacred Fire and Ancestral Sound and its relation to the Plant and Animal Kingdom Medicine. He leads traditional ceremonies, sound journeys, conferences, workshops, concerts, therapies and retreats in different countries around the world including, Colombia, Chile, England, Scotland, Wales, Ibiza, Bali-Indonesia, Poland, France, Portugal and Italy among others. He is the director and founder of TRIBAL SOUND HEALING and the TAMBORA FOUNDATION in the UK and Colombia and co-director of the first school of sound healing in Scotland ANSU School of Sound & Tribal Healing Arts. Anthar just Launched this year the first School of Ancestral Wisdom in Colombia, supporting Wise Elders to continue their mission.